While some automakers are focusing mostly on creating cars that can drive themselves, Audi has taken its research a step further and is looking into developing how vehicles, self-piloted or not, communicate with the world around them. 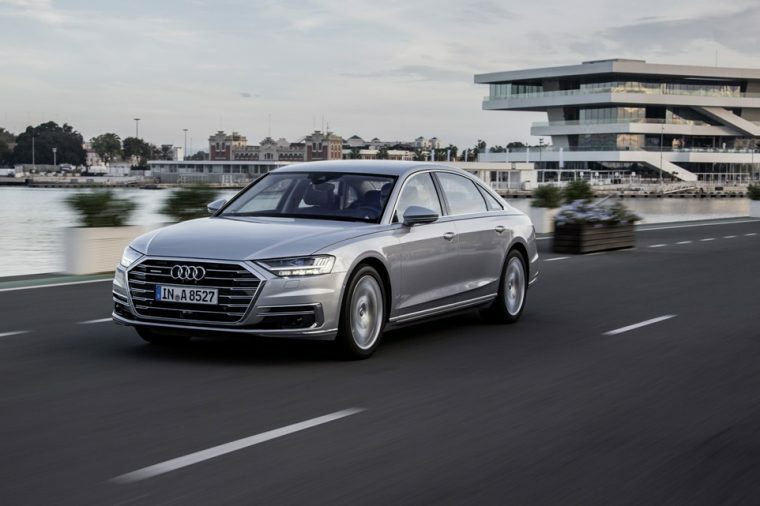 Hopefully, this means that Audi models of the future will not only see what’s going on but also be able to receive messages to make driving easier. One way that Audi is already connecting its cars to traffic is by “talking” to traffic lights in Washington, DC. The new technology is part of Audi’s Vehicle-to-Infrastructure (V2I) system, and it’s actually already included on select 2017 and 2018 models. However, only recently has public technology caught up with the pace of private enterprise. Before the announcement about the nation’s capital, the V2I system had been operational in other American cities like Dallas, Houston, Las Vegas, and Portland. The basics of how it works is that Audi vehicles can receive information from a centralized hub about traffic lights and how long it takes for a red light to back to green. It gathers the data using its built-in 4G LTE hot spot about intersections included in the city’s database. If a driver is sitting at a red light in one of these cities and at one of these lights, the dashboard display will give a countdown until the light ahead turns green. The brand hopes that this will help drivers prevent being distracted when it’s time to drive. According to CNET, if your 2017-2018 Audi has the Audi Connect Prime package it is equipped to interact with these prepared cities. The automaker hopes that compatibility will spread throughout the country. Once the system is more popular, it’s possible that V2I technology could connect with your car to determine the best time to engage its start-stop feature. It’s certainly something to look forward to.